After historic democratic elections in 2010 sparked reforms, the time-warped country that was under military rule for almost five decades is now a magnet for curious travellers. 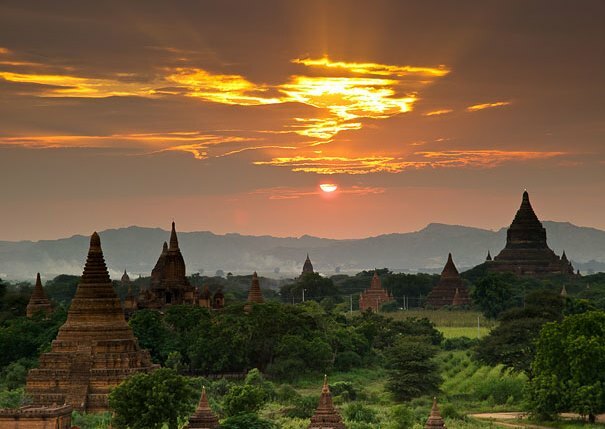 As international visitors flock (numbers soared from 790,000 in 2010 to more than 3 million last year), Myanmar is changing rapidly. For a start, you can now find ATMs in the major cities (although it’s still difficult to use a credit card widely). Airlines servicing Yangon and Mandalay (Myanmar’s second-largest city) include Thai Airways, Qantas (with Bangkok Airways), Vietnam Airlines and Singapore Airlines. Apply for a visa before departure. See thaiairways.com, qantas.com, www.vietnamairlines.com, singaporeair.com, mecanberra.com.au. Explore Inle Lake in eastern Shan State. 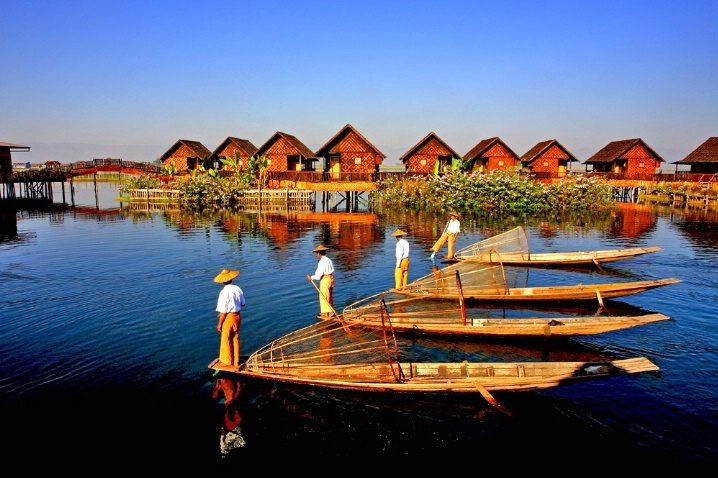 The scenic shallow lake, which sits 900 metres above sea level, is famous for its overwater stilt houses and floating vegetable gardens skewered to the lake bed with bamboo poles. Fisherm en are also known for their distinctive “leg-rowing” technique. Stay at one of the hotels that have opened along the shoreline – the Novotel Inle Lake Myat Min features overwater villas. 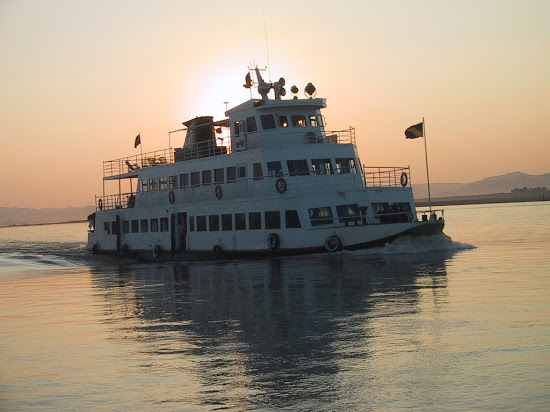 Trafalgar, which will launch in Myanmar in January, is incorporating Inle Lake into its 11-day Secrets of Myanmar small-group tour. See www.novotel.com, www.trafalgar.com. The arid Bagan plain is studded with more than 2500 Buddhist monuments dating from as far back as the 10th century. There were thousands more temples and pagodas in Bagan before a devastating earthquake struck in 1975. Still, what remains is so impressive that it’s worth the early start and big bucks for a balloon ride (heading above-ground also provides respite from Bagan’s persistent hawkers). 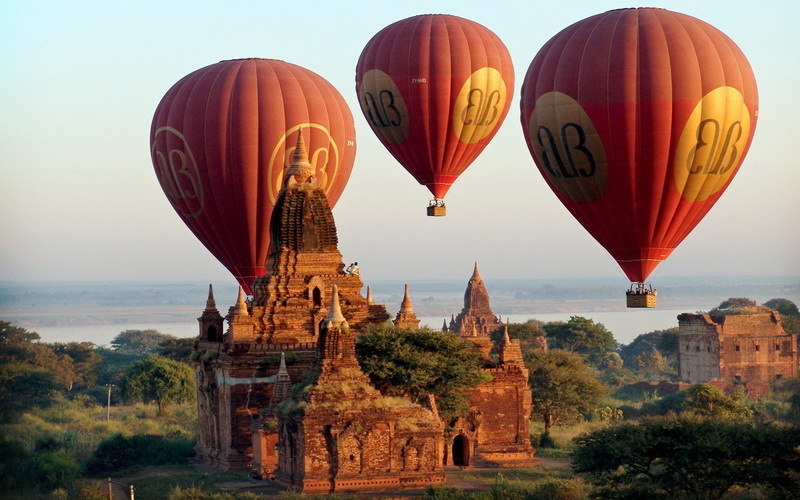 Australian Brett Melzer and his Yangon-born wife, Khin Omar Win, started Balloons over Bagan with a single balloon in 1999 – today the company’s red balloons dominate the early-morning skyline. See www.balloonsoverbagan.com. 5 DO: CYCLE BAGAN Want to poke around Bagan’s temples and pagodas at your own pace? Pick up a rental bicycle (or an electric bike if the weather is too hot) and a map, and head out over the flat-as-a-Myanmar-crispy- pancake landscape. Highlights include Ananda Temple with its stunning gold spires. Take in a glorious sunset from Shwesandaw Pagoda. There’s no holier site for Myanmar’s Buddhists than Shwedagon Pagoda in Yangon. To join the faithful, dress modestly (with shoulders and knees covered), remove footwear (including socks) and circle the main golden stupa, said to contain eight hairs of the Buddha, as well as thousands of diamonds, rubies and emeralds. 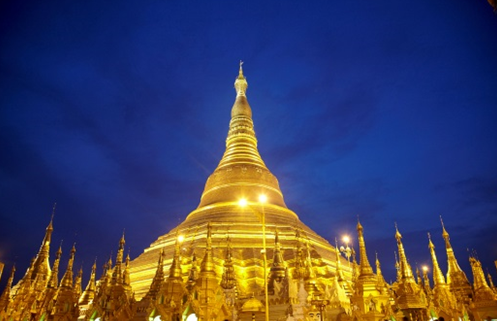 The pagoda is illuminated at night – the golden glow is visible from most parts of the city. If you know which day of the week you were born, pay respects at the animal figure marking your day (Monday-borns, for example, should look for a tiger). But why are there eight of these points? It’s because Wednesday-borns are divided into morning and afternoon. See www.theshwedagonpagoda.com. If you learn only one word in Myanmar, it should be “mingalaba” (there are a few different ways to spell it). The greeting is always returned with a wide smile. But why stop there? Add a few new words every day – those you meet will appreciate your efforts. Myanmar people are famously friendly and outgoing. The Strand, built in 1901 by the founders of Singapore’s Raffles Hotel, is one of Yangon’s most evocative hotels. With just 31 high-ceilinged suites, it can be hard to secure a room (which comes complete with butler service) but you can still soak up the hotel’s colonial-era charm with cocktails or afternoon tea. Order a Strand Sour within the teak-lined bar where Friday happy hour is an institution or flop into a rattan armchair in the marble-floored lobby lounge to order up afternoon tea. See www.hotelthestrand.com. This haute French fine-diner that spills out of a colonial-era mansion onto lawns overlooking a lake is as improbable as the white rabbits that pop by to nibble the grass. Its interior design cleverly blends colonial pieces from Myanmar and Vietnam with pop-art touches. It claims to have “the most fabulous wine cellar in Myanmar” – with a list that includes an eye-popping $US13,000 ($17,700) magnum of 1961 Petrus. For a more modest French fling, try the champagne high tea with a flute of Taittinger (US$35 ($48) a person). See www.leplanteur.net. It’s no surprise that Hillary Clinton stayed at the Chatrium Hotel Royal Lake Yangon when she visited in 2012 as US Secretary of State. Hotel security is tight: vehicles entering the guarded gates sweep up the drive to have their underbellies inspected and guests must have belongings screened before entering the luxury property. Take a dip in the impressive palm-fringed swimming pool and use the breakfast buffet as a chance to sample Myanmar specialties. See www.chatrium.com. apply a fragrant creamy paste known as thanaka to their faces in decorative patterns. The paste, made from the ground bark of several trees, is revered for its cosmetic, sun-blocking and cooling qualities. Grind a little face paste for yourself in the lobby of the Chatrium. Sadly, the bustling city of Mandalay doesn’t quite live up to the romance of its name. 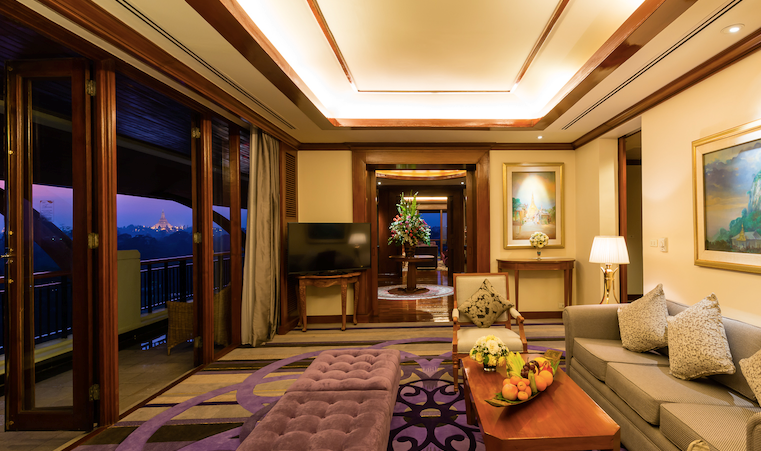 However, the Mandalay Hill Resort Hotel features a fetching outlook: rooms at the back look over the swimming pool towards the temple-crowned Mandalay Hill. Hotel guests enjoy a secluded on-site spa, a dinner and cultural show in the grounds, cute toiletries topped with golden stupas, the intriguingly named Kipling’s Lounge bar, and an excellent breakfast spread that includes cooked-before-your-eyes, wafer-thin crispy pancakes. See www.mandalayhillresorthotel.com. At the foot of Mandalay Hill are the Kuthodaw Inscription Shrines – 729 stone slabs inscribed with all of the Buddhist scriptures. Each tablet is housed within its own tiny white shrine – collectively, they form the World’s Largest Book. It took a scribe all day to chisel up to a dozen lines into the stone – no wonder the whole project took seven years, six months and 14 days to complete. The finished project was opened to the public in 1868 – the book was granted World Heritage status in 2013. 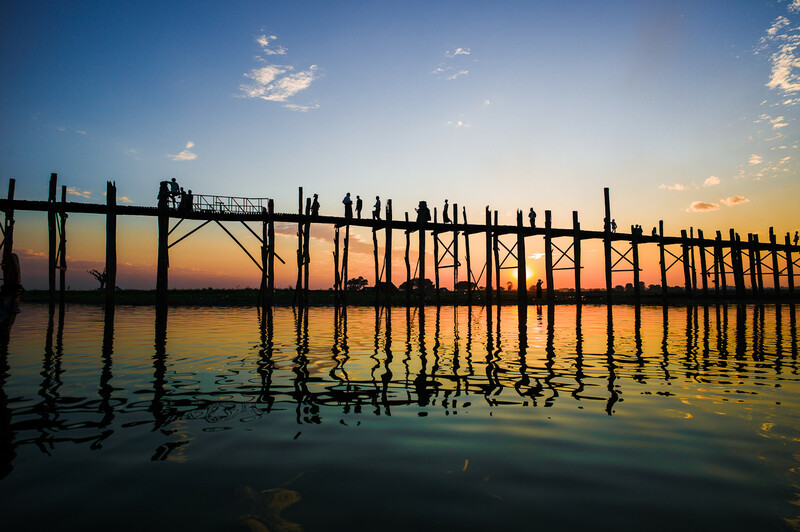 Near Mandalay, stroll along U Bein Bridge – said to be the world’s oldest and longest teak bridge. The 1.2-kilometre rickety walkway, which includes four covered pavilions and spans Taung Tha Man Lake, was built around 1850 from timber reclaimed from a former royal palace. It’s also lined with hawker stalls if you’re looking for a souvenir. Near the teak bridge, an extraordinary spectacle unfolds each morning at Mahagandayon Monastery when more than 1000 monks silently line up to file into a dining room for a meal. The photogenic sight attracts quite a crowd so arrive early for a good vantage point. Even though there are now ATMs in Myanmar’s major gateway cities, bring a back-up supply of fresh, crisp US notes. Big-city stores and the always enterprising hawkers readily accept US dollars but in rural communities and at market stalls, you will need kyat – the local currency. Major hotels will change money for you. Credit-card facilities can be unreliable. A little bargaining is expected when buying souvenirs (the Bagan hawkers, especially, quote high starting prices). For an authentic memento, pick up a few patterned longyis​ – the sarong-like national garment worn by both men and women. Each gender wears specific patterns and colours – men’s longyis tend to feature a more subdued palette – and tie them in different ways. One of the delights within local produce markets is fragrant long-stemmed roses – a couple of bunches wrapped in banana leaves won’t cost more than a dollar or two. Before Aung San Suu Kyi was released from house arrest in late 2010, barricades prevented traffic from entering her street. Nowadays, you can not only drive past the Nobel laureate’s lakeside house but pause outside the place where the pro-democracy campaigner was held under house arrest for 15 of 21 years. It’s easy to imagine that one day, at the speed this country is changing, this address might even become a museum. 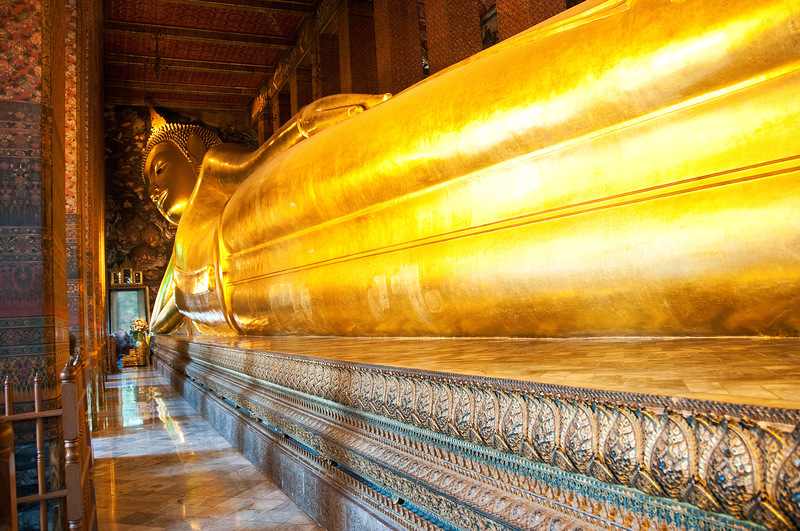 One of Myanmar’s most stunning reclining Buddhas is the Chaukhtatgyi Buddha​ housed within an open-sided metal shed in Yangon. It can be hard to take a great picture of the figure, which is some 65 metres long and surrounded by structural supports, but climb the viewing platform at one end and try your best. Soak up the zen-like atmosphere of being in a country where about 90 per cent of the population is Buddhist. Instead of rushing around ticking off the sights, sit cross-legged for a while and watch something unfold slowly. Each evening at Shwedagon Pagoda, for example, a row of devotees armed with brooms sweeps clean the vast marble terrace. Katrina Lobley writes regularly for The Sydney Morning Herald on arts, entertainment and travel. She has reviewed music for marie claire magazine, edited two books for a business publisher and filed feature stories for newspapers in Singapore and New Zealand.